Well here we are at my 100th post giveaway..... better late than never right??? A Jelly roll of Scrumdiddilyumptious Verna fabric! One of the "Beaufort Bags" I made and wrote about in my last post. Leave a comment on this post telling me which of the prizes you would like to win. If you'd like a chance at both prizes or a second chance for the same prize just leave another comment telling me you're a follower and mentioning your preference again.... it's that easy! Congrats on your 100th post.Up to another 100. I love the jelly roll. Congratulations! It's such a nice idea to selebrate with giveaway! i am a follower, i would love to win the jelly roll, i have a layer cake of that, and they would be lovely together!!! Hello, congratulations on your 100th post. If I was a lucky winner I would choose the material. Happy Days. ... and the bag of course, because I'm a follower! Congratulations! I would really like to win the bag. The colours are so nice. 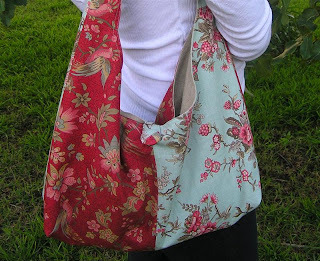 I would love to win the lushes fabric jelly roll, but I also love the bag. Congradulations on 100th posts. Love this blog, only just found it. I am a follower to this blog now since I've just found it through another blog. Looking forward to checking in as much as life permits. Thanks. 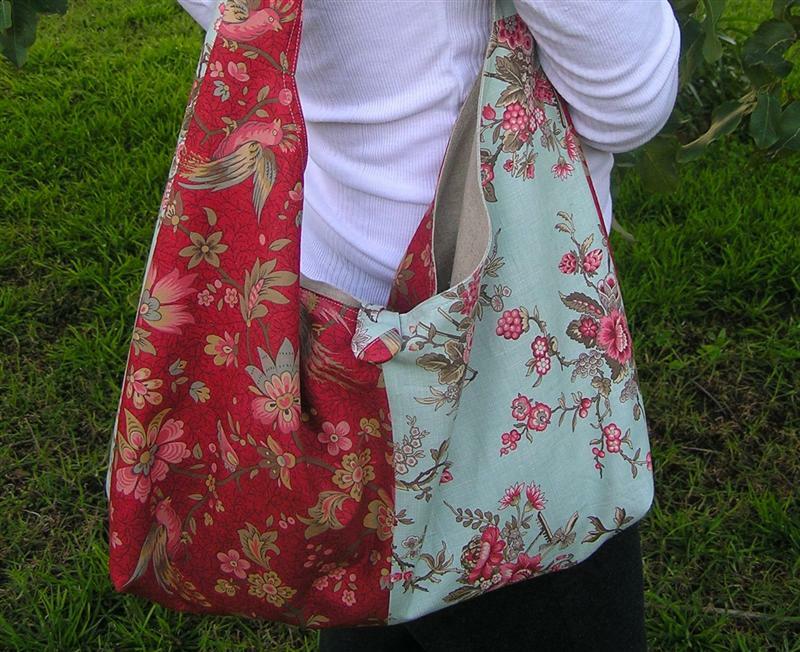 I would love to win the lovely fabric jelly roll, but also love the bag. I'm am follow your blog, and I woud love to win the Jelly Roll. I would love to win your Verna jelly roll. Congratulations on 100 posts! They are both generous giveaways and I would be happy with either one, but that jelly roll is pretty cute! Congratulations Tracy "100" WOW. Both are very generous giveaways, but I would love to have another Jelly Roll, but then again I could always use another bag. I am always checking out your cooking. Congratulations..I would like to go in the draw for the jelly roll I have the charm pack at home Verna is such a lovely range. Beautiful give away! I love your blog ... and it's so nice that you've got so many followers! Actually, I really love jelly rolls full stop. I love to see your pretty projects! Thanks so much for showing them to us - 100 posts already! I'd love to be the proud owner of your bag. Looks like it would fit all my kids stuff in really well!!! Well done. 100 posts already, and there are so many gorgeous projects that you have finished in that time. I would love the Verna jelly roll. The colours are so fresh and vibrant. It is lovely of you to celebrate with a giveaway. Wow! Didn't take you long to get to your BIG 100th. Your giveaways are very generous. Please add me to your very large list. Found your blog thru another blog... love the name! I would like to win the jelly roll..fabulous colors. Makes me eager to get quilting. I'd love to be entered in the draw for the JR.
Me subscribing to your blog via bloglines make me eligeble to enter in the draw for the lovely bag??? Please??? Congratulations on reaching (and passing) 100 posts. Love the Verna jelly roll. And I am now following your blog, and would love to be entered for the bag draw. Thank you for your generosity in giving 2 chances. Happy 100th blog post, it has been lovely to view all your gorgeous creations. As a bagaholic, I have to put my hand up for the bag - especially because it's made by you. Congratulations on your outstanding accomplishment of 100 posts! Way to go!!! I too am having a giveaway over at my Stash Manicure blog. Be sure and stop by to enter the drawing. Your blog is so much fun to see and read! Congrats on 100 posts - keep them coming! I think the jelly roll is for me too! Congratulations on 100 posts! I love the jelly roll - a lot!! Well done for your 100th posting. I just love the jelly roll heaps! Of course Id love the jelly roll!! Congrats on the milestone! Im a follower so Id love to go in for the cute bag too! Luv the bag...looks like a nice size also. Congratulations! I would love to win the jelly roll. Just found your blog, and I'd love to win the jelly roll! I'm also a follower, and I'd love to be entered for the jelly roll! *gasps* I LOVE that bag! Where can I find the pattern? Blopping (blog hoping) from Joys blog!